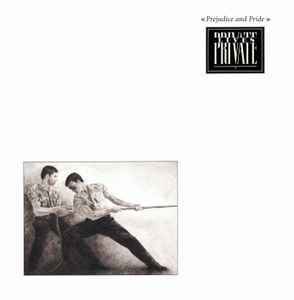 Tracks 1 to 10 are taken from the album Prejudice And Pride released in 1984 at EMI. Track 11 is taken from 12" single Living In A World (Turned Upside Down) released in 1984 at Parlophone. Tracks 12 and 14 are taken from 12" single Memory Of Your Name released in 1982 at Chrysalis. Track 13 is taken from 12" single From A River To A Sea released in 1984 at EMI. Tracks 15 and 16 are taken from 7" Where Do I Go released in 1980 at WEA.